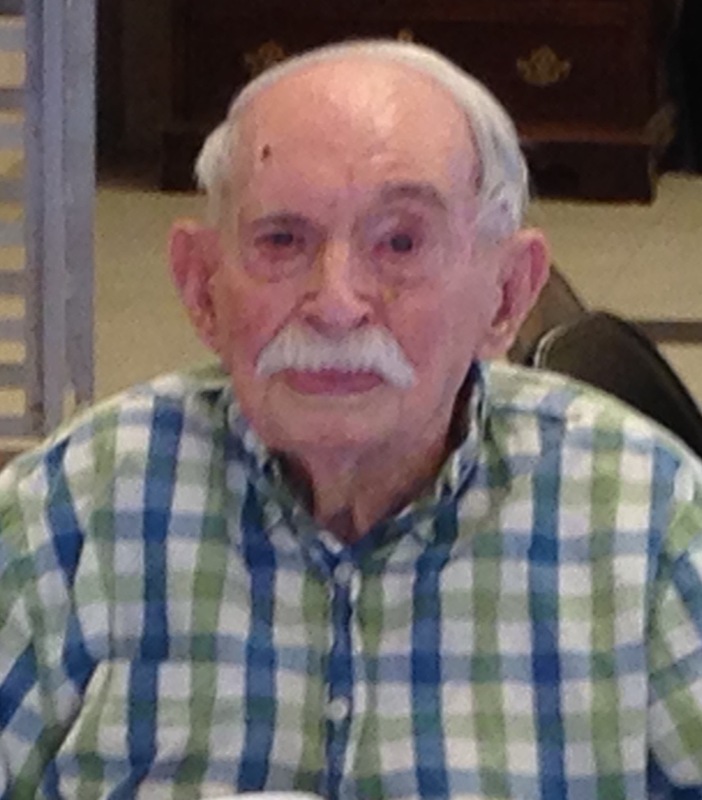 Maysville…..John D. Eggleston, age 99, was born March 28, 1916 the son of Harvey and Maggie (Dixon) Eggleston and passed away February 2, 2016 in Cameron, MO. On May 2, 1937 John and Bernice Daniels were united in marriage. To this union three children were born. Bernice passed away August 28, 1968. John was a lifelong resident of DeKalb County where He farmed and worked for Missouri State Weights and Measures and MFA Agri Services. He was a member of Maysville Horse Shoe Pitchers Association and a former Horse Shoe pitching National Champion. After the death of his wife Bernice, John married Sally Gellert in 1971. until her passing on November 9, 2014. John is preceded in death by his parents; wife, Bernice Eggleston; wife, Sally Eggleston; daughter, Jane Jones; granddaughter, Kim Freehand; two sisters, Irene Blankenship & Cuma Ellis; and daugher-in-law, Twila Eggleston. Survivors include two children, John D. Eggleston, Jr, Cameron and Judy Jennings (Roger), Joplin; four grandchildren, Steve Jones, J. Eggleston, Nancy Wheatley, and Jaimie Frazier; seven great-grandchildren; one great-great grandchild; and numerous friends. I’ve been John’s neighbor in Maysville since 2008. Loved him like he was my own grandfather. Took him uptown many times. He was a funny man. Always told me he had to use his cane to fight off all of the women! He’d say, “Grandpa was slow, but he was old” when someone would tell him that he got around so well for his age. Going to miss him very much. I remember going to the house and visiting John and Sally. Just happened that Sally grew up with Rob’s Grandpa. Such a neat thing. I thought of them as Grandparents; even though it was for only a couple of visits. You just have that feeling when you meet someone. Thanks for the memories and laughs; Sally and John. Glad you are together again! You and your family are in our thoughts and prayers. With heartfelt sympathy. Mr. Eggleston, i wish i could have known you better. this last few years i have enjoyed dropping you notes. i got to know you so well through Jane and Judy. know sir you will be missed. To John, J, Nancy and families, I am so sorry for your loss. Your family has been in my thoughts and prayers. I hope the many memories you have with him can bring you comfort.